Our party was a hit with the bounce house. The weather was perfect for it! I just wanted to extend my sincere thank you for your support this past weekend for the Nathan O’Brien Superheroes Sports Decathlon, because of your company and the other sponsors the event was a big success. We have booked next year’s 2nd Annual event for Aug 20 and 21 next year, and we hope you will consider supporting us again! 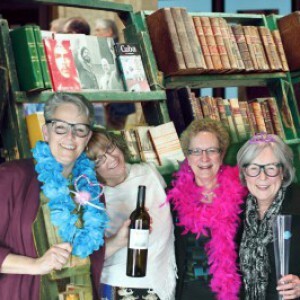 On behalf of L’Arche Calgary, I would like to extend a HUGE thank you!!!!! for all your hard work at the Priscilla’s Snowman 1km Run and Carnival (Rogers Run for L’Arche). 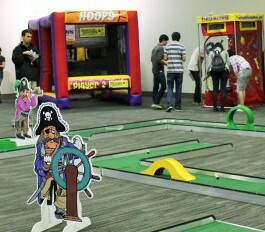 Your choice of games and prizes was great, and you did a superb job of orientation for the youth volunteers. Everyone thoroughly enjoyed themselves and we look forward to having you return next year. I know it is long overdue, but I just wanted to say thank you for the great service your company provided for our Family Fun Day this past July 25th. We thought James was great! He was great to work with setting everything up for us, making sure everything was in working order and he was on time with both delivery and pickup. It’s so wonderful when we can find great people like you who do such a good job and are so terrific to work with. The next time we need these types of products you will be the first one I call! We wanted to extend our sincere thanks to each of you and your team for another wonderful 3-day Stampede Breakfast event for Airstate Ltd. and Edon Management.It certainly was a joint effort and we greatly appreciate your teamwork in making our annual event a memorable one for all who participate. Thank you all again, and have a wonderful year. I wanted to thank you and your team for their efforts and support for June 13th. Our event was bigger and better than last year and a large part of that is due to your team’s effort and support. We are looking for feedback and suggestions for our future events, if you want to send any comments my way, please do so. Please pass on thanks from me to your team and we look forward to another great event next year. The Roughnecks would like to thank you very much for bringing Carnivals for Kids at Heart to our Pre-Game Party as it was definitely a hit with the fans. We really appreciate all the work you went to and hopefully we can work together again in the future. I just wanted to send you a quick note thanking you for helping us create such a wonderful afternoon! Your staff were so professional and helpful, they had the course set up in no time. We also appreciated your willingness to drive to Edmonton. 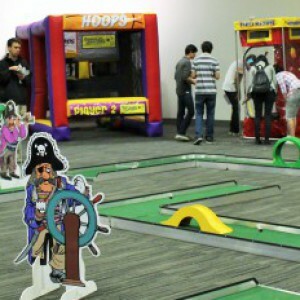 We had a great time playing mini golf in the office, it was one of the best events we’ve had in a long time! 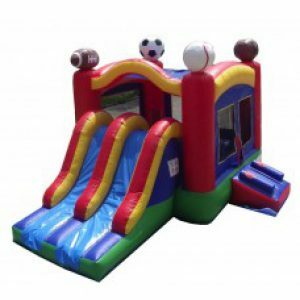 We have had the pleasure of working with Carnivals at Heart for several years as we plan and host our annual spring school carnival at Bearspaw School. The professionalism, enthusiasm, variety of equipment and assistance in ensuring the quality of our carnival has kept our school coming back to this organization each year. They truly live up to their name and we look forward to working with them again in 2009! Thanks again for a great day, working with you guys is great, it’s not just the equipment it’s the people who bring it and run it and you guys do a great job. Thanks. Thanks so much for your fantastic customer service… we really appreciated doing business with you! The pony bouncer was a huge hit with the kids! I had many people commenting on what “nice” people came out to set up/take down. They were all very friendly, polite and helpful. We look forward to giving you a call again next year! 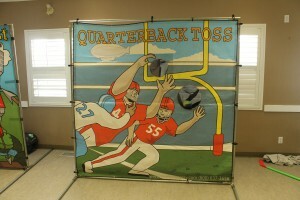 Thank you soooooo much for the wonderful set up of the carnival games yesterday. Our day was a huge success thanks to you! Thank you also for putting up with my annoying emails and phone calls. You did a wonderful job!!! I just wanted to let you know we had a blast on Saturday. 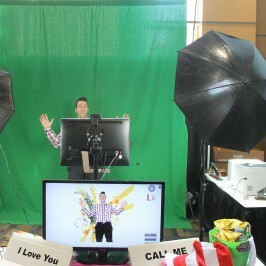 Your set up guy was very personable and amazing. 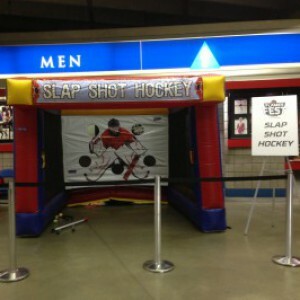 The biggest hits were the balloon splash and the bouncy house. Thanks for all your help in making our day such a success. I just wanted to say thank you so much for supplying the Bouncer and Mini Golf at our event this weekend! Everyone who came had such a great time! I was running around all day and didn’t get a chance to meet you and thank you personally! 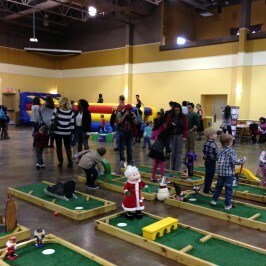 Play Day was a hit yesterday thanks so much!!! Could we tentatively book you in for June 26th, 2009??? We could talk details at a later date! Let me know what I would need to do to secure this. I just wanted to thank you for all the games you provided. The money tunnel was a huge success! I also was wondering if you could thank Kim for me, she worked none stop without a break. Thanks again! On behalf of the staff at the Kids Cancer Care Foundation of Alberta (KCCFA) and the children and families we serve, I would like to personally thank you for donating your carnival games to our SunDance program this past weekend. Due to your generosity, our families and kids enjoyed a magical afternoon in celebration of Halloween. The Halloween party was a huge success with 36 kids and parents. You made an unforgettable experience for our children and parents! Thank you for providing such a unique and beneficial experience for everyone! I look forward to working with you again. Taylor is very lucky to have an Auntie like you. It has been great having Taylor in the leadership program. I am looking forward to provide opportunities for him to grow and develop. I see so much potential in him, and I am so excited! Thanks again for your donation, it is greatly appreciated. 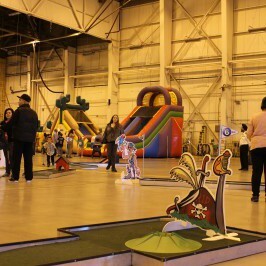 We used Carnivals for Kids at Heart for our winter festival this February (2009). The event ran smoothly, very pleased with everything. I’m looking to book your Western Package for July 4th at Thorncliffe Greenview Community Association from 10am-4pm, if possible. I would also be adding on a bouncer (hopefully western themed also). As for the 5 games, just pick your top 5 western games. If you could let me know if you are available for this, that would be great!